Kicking off my series dedicated to Diageo’s 2016 Special Releases is Mannochmore 25-year-old. It’s pretty rare to see a Mannochmore single malt bottling, as most of the whisky produced at the Speyside distillery goes to blends. This release is a blend of whiskies distilled in 1990 and matured in first fill ex-bourbon casks, new American oak barrels, and new and ex-bodega European oak butts. 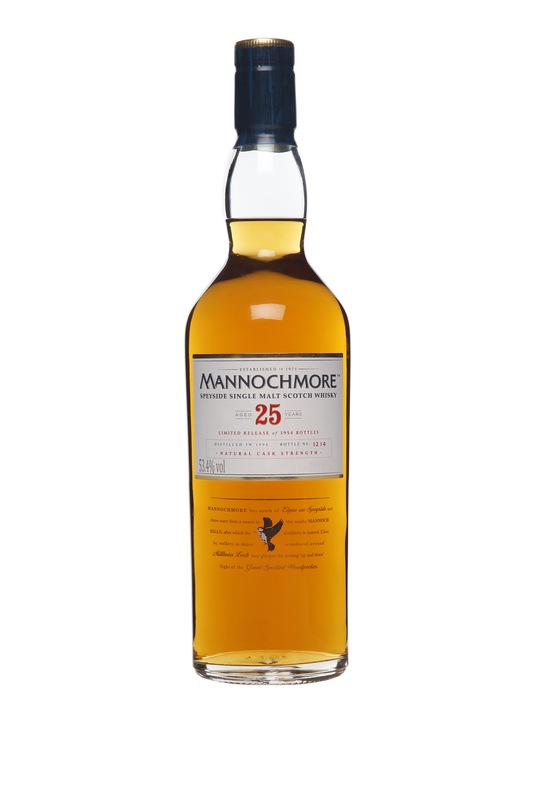 Mannochmore 25 is bottled at a cask strength of 53.4% abv and retails for $400. This quarter century old whisky is quite lovely. Sherry oak and orange zest parade on the aromatic nose, as hints of toasted malt and ripe apricots appear in the background. The palate is rich and dense with dried fruit, orange marmalade, toffee and spice at first. A touch of airtime reveals some wood sap and licorice. The finish is a touch dry, with some sweet oak tannins and concentrated fruit juice. A slightly offputting bitter note appears soon after.